Stephanie Langlais is a registered massage therapist who graduated from the 3 year massage therapy program at the West Coast College of Massage Therapy in 2002. 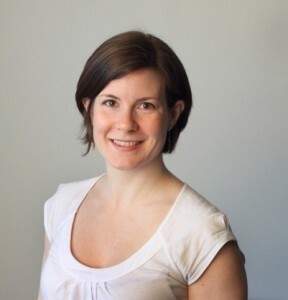 She has been in full time private practice since 2002, and is the owner/director of Quanta integrated Health in North Vancouver (formerly Soma Massage Therapy in North Vancouver). 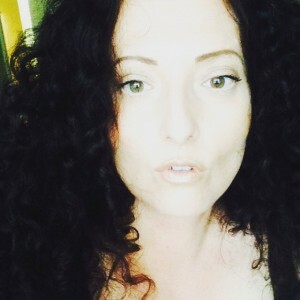 Stephanie is passionate about health and wellness and also became a Holistic Health Coach in 2014. 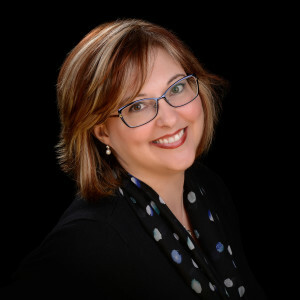 She is a member of the College of Massage Therapy of BC and was previously a member of the Massage Therapy Association of Alberta and British Columbia. Stephanie has several years of practical training in the management of chronic diseases and acute injuries, and the effects of long-term stress on the body. The primary goal for each treatment is to decrease pain, discomfort and stress. Subsequent treatments are also geared towards increasing body awareness and addressing postural dysfunction for the prevention of re-injury. Specific programs and treatment approaches are designed for each individual, developing postural realignment, restoring balance to the body, and changing long term patterns of tension. Stephanie takes a holistic approach to massage therapy, which means the whole body is considered in each treatment. Better results are obtained by examining and correcting the source of the pain and dysfunction rather than treating the symptoms. This holistic approach allows for balance in the body. Stephanie will not only do the manual therapy but she will also recommend self care tips and home care exercises. Nicole Hunter has been a practicing Registered Massage Therapist since 2011. In this time, she has worked in a variety of settings, including a yoga studio, Crossfit facility, spa, and multidisciplinary clinic. In addition, she works part time as a clinic instructor at a Massage Therapy school. She is thrilled to now be a part of the team at Quanta Integrated Health. Nicole has experience treating people with chronic pain, whiplash, tension headaches, migraines, back and neck pain, scoliosis, sciatica, post surgical scar tissue, sports injuries, TMJ dysfunction, spinal cord injuries, Multiple Sclerosis, Parkinson’s, Chronic Regional Pain Syndrome, and discomfort related to pregnancy, posture, and imbalances in the body. She has taken extra courses in Craniosacral Therapy, Ligamentous Articular Strain Technique (LAST), Fascial and Joint Release, and End Range Loading, but is always excited to learn more. Francesca Farrell has been a registered massage therapist since 2004. She graduated from the West Coast College of Massage Therapy. Francesca aims to treat pain and stress in the body using a holistic approach. She treats with moderate pressure, with the intention to engage the power of the restorative parasympathetic nervous system. Organic oil and calming music are used. 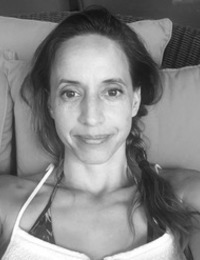 She takes Continuing Education courses with a focus on myofascial release, neuromuscular techniques, Muscle Energy and cranial sacral therapy and often uses aspects of these modalities. She tends to engage the parasympathetic nervous system as part of the treatment plan, incorporating Swedish, breath work, myofascial release, trigger point therapy and compressions into most treatments. Some common issues she treats include: stress, low back pain, headaches, tmjd, cervical spine issues, anxiety, scar tissue and overuse injuries.Homecare is often given and can include stretching and strengthening, breath awareness, hydrotherapy and hydration. Referrals are sometimes given for other kinds of practitioners. Melanie Swithin Jones is an osteopathic practitioner and a registered massage therapist. She obtained her Bachelor of Science Degree with a major in human biology and a minor in general sciences from the University of Montreal. She obtained her diploma in Ostepathy from the Institute d’enseignement de l’Ostéopathie du Québec in 1999. She further expanded on her education by completing the registered massage therapy program at Vancouver Career College and became a registered massage therapist in 2017. She believes that manual therapy is a field where one should always seek to gain further knowledge. Osteopathy and massage therapy are two modalities that interrelate very well with one another and this has given her an even greater insight into effective and in-depth treatment, through manual therapy. She utilizes muscle energy techniques, and myofascial release to ease back, neck and joint problems. Her main focus lies in muscle chains to further release structural or postural pathologies in a non-invasive manner. She often incorporates elements of cranial therapy, aimed at readjusting the cranial sutures, along with visceral manipulation, designed to rebalance organ function, because I believe the body needs to function as a whole. To book an appointment with Melanie to experience the benefits of massage therapy and osteopathy please click here to book an appointment. Ali Aghasardar TCM R.Ac is a Doctor of Traditional Chinese Medicine and Registered Acupuncturist who graduated from the 5 year Doctorate program in Traditional Chinese Medicine (TCM) from Vancouver’s International College of Traditional Chinese Medicine. He is a registrant in good standing with the College of Traditional Chinese Medicine Practitioners and Acupuncturists of British Columbia (CTCMA). He subsequently completed extensive training and certification in the advanced program of Cosmetic and Rejuvenation Acupuncture in China. 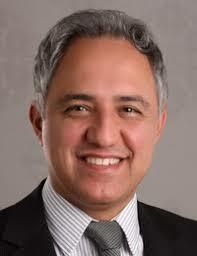 Ali has a particular interest in treating pain, cosmetic and rejuvenation, anxiety, stress and fatique. He uses acupuncture, electro-acupuncture, trigger point release, cupping, moxibustion and Gua Sha, along with lifestyle and dietary consultation, to help his patients achieve and maintain optimal health. Ali truly enjoys working with his patients to achieve realistic health goals through a positive and competent approach. He believes working with individuals to achieve and maintain optimal health and wellness is a privilege. Your health is your greatest gift, treasure it.If you want to experience the benefits of acupuncture you can simply click to book an appointment. 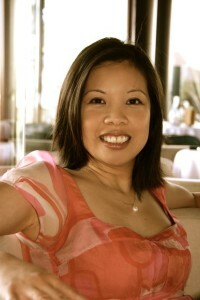 Christine Robles is a Vancouver based Reiki master and practitioner. She is a certified Reiki master and practitioner registered with the Canadian Reiki Association (CRA). Christine is trained as an Usui Reiki master, obtaining her 2nd and 3rd levels Reiki from Christa Lynn of Vancouver and her Master Reiki level from Barb Weston of Inner Focus in North Vancouver in 2014. Christine Robles has a Bachelors degree in Human Ecology, Dietetics from the University of Manitoba and a diploma from Langara College in Nutrition and Foodservice Management. She is also a member of the Canadian Society of Nutrition Management. At present, as well as practicing Reiki in North Vancouver she is also working at BC Children’s Hospital Nutrition and Food Department and at BC Children’s Hospital Milk Bank. If you want to experience the benefits of reiki you can simply click to book an appointment. Copyright © 2019 Quanta Integrated Health. All Rights Reserved.